Dr. Kaplan has been selected as Connecticut Magazine's Top Othordontist since 2008. Quality treatments and great customer service! You and your family deserve the best! Here at Richard B. Kaplan, DDS, we are ready to provide just that. 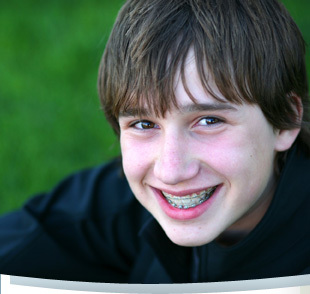 Our experienced doctor has provided orthodontic treatments for people in our area since 1974. His staff was chosen for their professionalism and friendly nature. Our office is a great place to visit, and we know you’ll agree! Our caring and experienced staff provides individualized and personalized treatment based on your needs and goals. Our practice has a bright and cheerful décor, with TV and video games for you and your kids to use. Our treatments are state of the art. We provide metal and clear braces for children and adults, Invisalign® for adults and teens, interceptive and preventative early treatment, growth modification treatment, pre-prosthetic treatment, and sleep apnea appliances. We are proud to serve the families in and around Ansonia, and want to welcome you to our practice soon! 1.) Education – Dr. Kaplan is a highly qualified orthodontist who is committed to providing patients with excellent orthodontic care in a personal and professional manner. Dr. Kaplan trained at some of the best institutions in the world and graduated at the top of his dental class. You can feel confident that you will be in expert hands and you will receive the best orthodontic care possible. 2.) Professional care- In our office, the treatment plan for each patient is tailored specifically for their individual needs in order to achieve the most functional and cosmetic outcome. Our focus is in extraordinary service and everyone is treated like family. We work very closely with each patient and will provide constant progress reports. We want each patient to feel comfortable and enjoy their orthodontic experiences. 3.) Our top notch staff is friendly, knowledgeable and enthusiastic about caring for our patients. Patients and their familes enjoy the personal attention that they receive from the experienced staff. 4.) Affordable treatment – An attractive smile is one of the few investments where you will be able to enjoy the benefits for a lifetime. Our office works with each individual to find affordable payment options to fit your personal financial requirements. We welcome most insurance plans and will assist you in maximizing your benefit reimbursement. We offer discounts for payment in full or no-interest financing if you wish to pay over the course of treatment. A discount is also provided for a second phase of treatment, if a two-phase treatment is recommended. 5.) Technology – We employ modern techniques to make treatment as efficient, comfortable and fast as possible. A variety of appliances are available to treat every patient to the ideal result. We only use the highest quality of orthodontic materials. The internet allows us to use technology to improve our communication with patients and parents. Each patient has an online account from which they can view account details, receive appointment information and reminders, and communicate with our staff. 6.) On time appointment pledge – We respect your time and understand you have other commitments in your schedule. We always attempt to be on time for your scheduled appointments and very rarely run behind for any reason. 7.) Convenience – Our in-house orthodontic lab provides greater efficiency and quality control. We can fabricate removable appliances, study models and retainers much faster than commercial labs. 8.) Community board – We have a community board in the reception area where we post any patient accomplishments or any pictures of patients that have appeared in the local newspaper. Our office is committed to improving and being active in our community. Dr. Kaplan supports several local charities and non-profit organizations. 9.) Timing – Timing is everything when it comes to successful orthodontic treatment. If a patient is not quite ready for orthodontic therapy at the time of their initial appointment, we offer a complimentary recall program where Dr. Kaplan will monitor the patient until the appropriate time for treatment. 10.) Long term committed to excellence – We want to ensure that our patients' attractive smiles endure and we facilitate the retention phase of orthodontics. There is no charge for post treatment recall appointments. 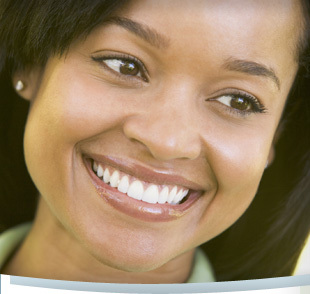 We derive great pleasure in maintaining long term relationships with our patients and observing their enhanced smiles. 11.) Mouthguards are provided for free to all athletes.